Patience, forgiveness and joy are the three greatest characteristics of divine love. They are characteristics of all real love – if there is such a thing as real love outside divine love. Without these three characteristics, love is not love. If you give the name ‘love’ to anything else, it is as though you were giving the name ‘sheep’ to a goat or a pig. 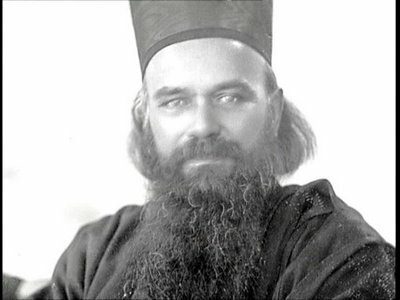 Saint Nikolai Velimirovic of Ohrid and Žiča lived from 1881-1956. He served as bishop of Ohrid and of Žiča in the Serbian Orthodox Church and was an influential theological writer and a highly gifted orator who came to be widely regarded as The New Chrysostom. This entry was posted in Uncategorized and tagged Bishop of Ohrid and Zica, divine love, Forgiveness, joy, New Chrysostom, patience, real love, Serbian Orthodox Church, Serbian Orthodox saints, St Nicholas, St Nikolai Velimirovic by Orthodox in the District. Bookmark the permalink.